Sometimes, you should expect the unexpected. This time, Nick and I were just moments from our hotel. about to relax for a bit before a night of karting and general tomfoolery before Concours Saturday. 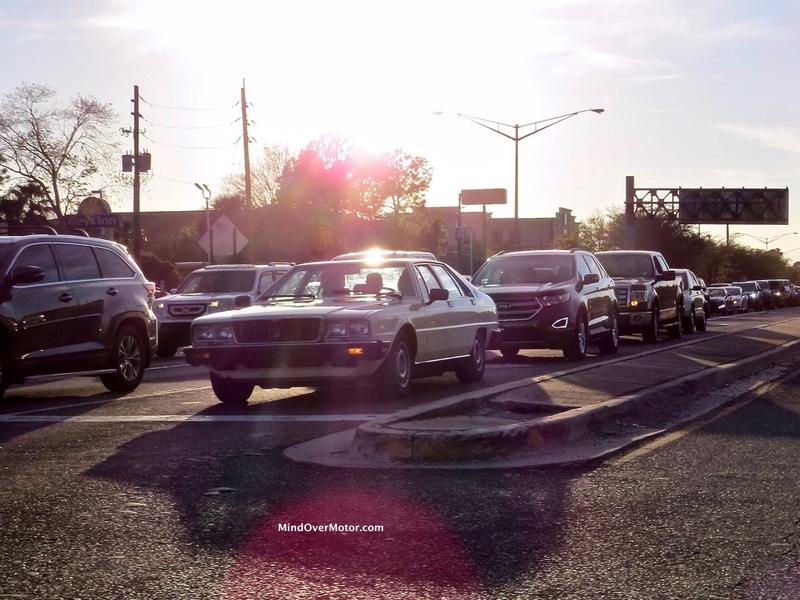 As we turned off the main drag for the airport into our hotel parking lot, Nick grabbed my attention at the left-turn lane–it was an old Quattroporte. 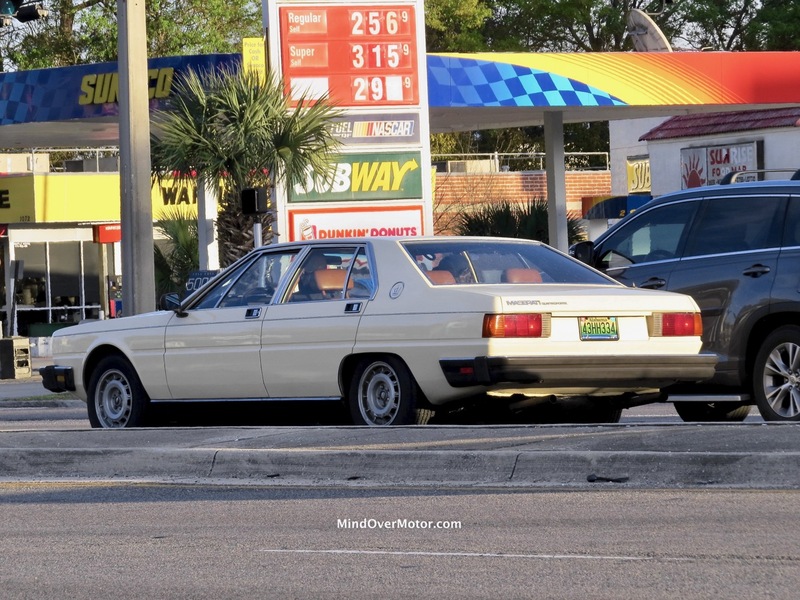 What we have here is a stunning example of Eighties excess, and the last hand-built Maserati sedan before they left the USA market (to return later). Enjoy the photos of this rarely-seen Italian Stallion.